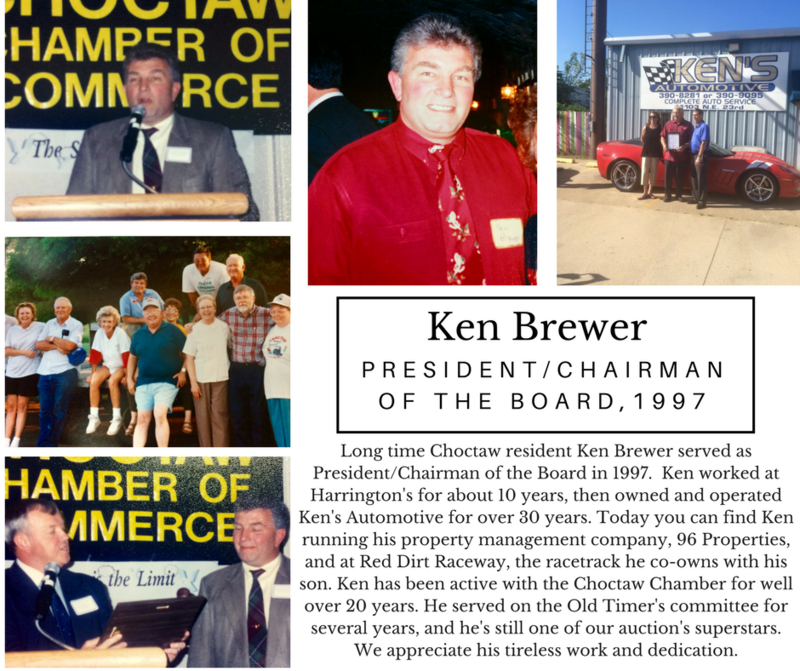 Ken Brewer, long time Choctaw resident, served as the President/Chairman of the Board for the chamber in 1997. Ken’s service to the Chamber and the community started well before 1997 and continues to this day. Ken was actively involved in Choctaw’s Old Timers Day Parade for multiple years. He’s still very active in our annual auction. We appreciate Ken’s continued involvement and commitment to the Chamber and our communities.